On October 4, 2018, during an evening meal at the 125th Street Grill in Seattle, the North Central Seattle Kiwanis club honored two long-serving retiring officers and installed new officers for the coming Kiwanis year. Presiding over the ceremonies was John Gaston, Division 26 Lt. Governor of the Kiwanis Pacific Northwest District. Gaston was introduced by Raymond Walters, the retiring President of the club. First to be honored was Sharon Diel, who served as Club Secretary from 2000 to 2018. Gaston presented her with a framed certificate of appreciation, a candy bouquet and gift certificates to local restaurants. Raymond Walters was next to be honored, for serving as Club President from 2009 to 2018. Gaston presented Walters with a framed certificate of appreciation, a candy bouquet and gift certificates to local restaurants. Gaston also presented Walters with a Past-President’s pin. 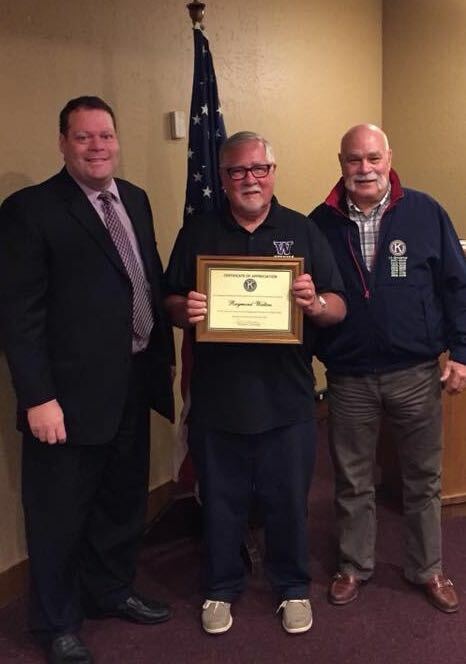 Tom Donohue was honored for his past service as Club Treasurer. He will continue to hold that office for at least another year. 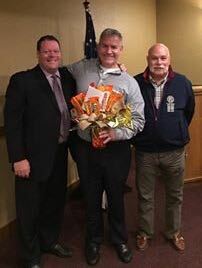 Gaston presented Donohue with a candy bouquet and gift certificates to local restaurants. Gaston also presented Donohue with a treasurer’s pin. 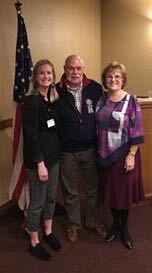 Danielle Zinck was installed as the incoming Club Secretary to replace Sharon Diel. While presenting Danielle with her secretary’s pin, the Lt. Governor reminded her of the various secretarial duties for which she would be responsible. Marie Zinck, sister of Danielle, was installed by Gaston as the Club President-Elect. In presenting Marie with her pin, the Lt. Governor reminded her that she was to preside during any absence of the Club President and be prepared to become Club President in October, 2019. Gaston’s final duty was to install the incoming Club President, Bob Wagner. In presenting Wagner with his president’s pin, Gaston reminded him that the success of the club was dependent upon his leadership but encouraged him to have fun in the role. 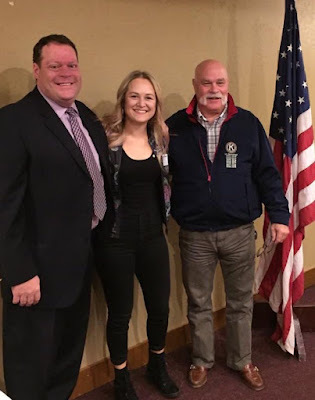 In closing the ceremonies, Wagner said that he began coming to Kiwanis events at a very young age, when his Dad was a member of the club and that he felt honored to be chosen as Club President.